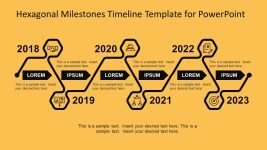 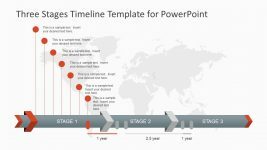 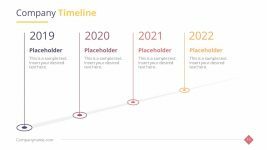 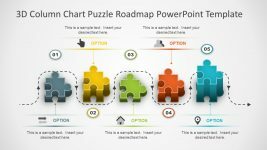 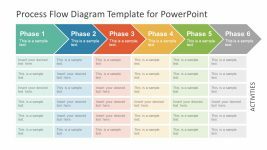 This Office template contains a PowerPoint roadmap timeline design, consisting of a series of interconnected shapes in a pipeline diagram, which may be used to show a succession of stages in global marketing processes. 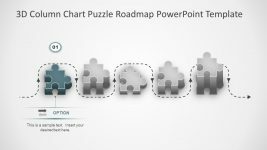 The shapes in the pipeline diagram are paired so as each pair has a different color scheme, blue, orange, red, green, blue, and purple. 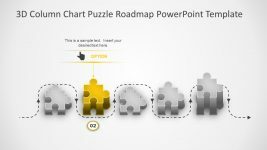 Each pair of shapes is numbered one to six and contains a generic business icon. 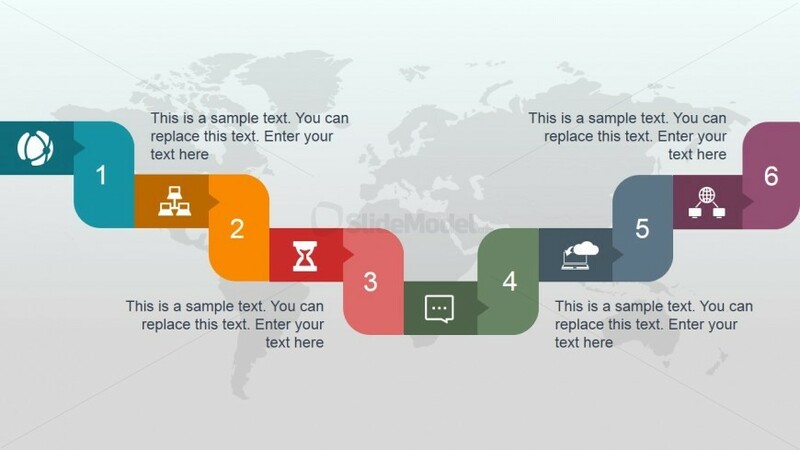 There are also four text placeholders placed above and below the diagram, wherein further description and explanation may be inserted. 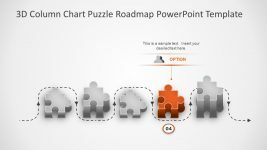 All PowerPoint objects are 100% editable to suit the presenter’s needs and preferences.